We offer a complimentary initial consultation for outsourced accounting services. Boeckermann Grafstrom & Mayer financial and Accounting Outsourcing Services Group will provide your organization with customized services, whether you’re a startup with limited funding and no accounting and bookkeeping staff, or an established business with an internal accounting team. For-profit businesses, as well as, not-for-profit organizations have some significant differences when it comes to financial functions. We’ve worked with hundreds of organizations, of all types, and have the expertise and resources to meet your specific needs. Outsourcing for CFO Functions, such as banking and financing management, strategic planning and developing key performance indicators. While proper bookkeeping and accounting are critical components of any business’s success, the time, resources, and expertise required to manage these operations can drain your energy and focus. BGM Financial and Accounting Outsourcing Services is the smart solution. BGM Financial and Accounting Outsourcing Services Group offers a complimentary initial consultation. 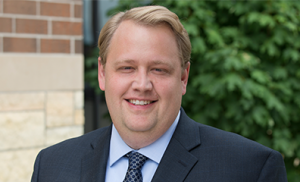 Contact Dane Boeckermann, Principal, at (952) 844-2593 or djboeckermann@bgm-cpa.com to schedule a mutually convenient time to meet. You can also download the Outsourced Accounting Services Fact Sheet and to read how we assisted a client by providing outsourced CFO and Controller services, download the Turn-Around Story Case Study.